For the third consecutive year, Yamhill Community Action Partnership (YCAP) is hosting a grilled cheese-themed fundraiser for its food bank at restaurants throughout Yamhill County. The Melt Down chose this year's restaurants via a lottery system and six of them are located in Newberg and Dundee. Red Hills Market, Chehalem Valey Brewing, Jem 100, Social Goods, Storrs Smokehouse and The Newbergundian Bistro all have special grilled cheeses to offer during February. Prices range from $8 to $15 and $2 from each sandwich sold will go to YCAP. The fundraiser began Feb. 1 and lasts through the end of the month. A "passport" is available at the various restaurant locations that can be stamped at each restaurant after you order their sandwich. Prizes – which include gift cards to local businesses and cheese-related merchandise – are available for patrons with each visit to the 20 total restaurants in McMinnville, Carlton, Amity, Dayton, Dundee and Newberg. After 10 restaurants, you're eligible for an undisclosed "major award." "For restaurants, this is a great opportunity to increase business," YCAP Development Specialist Diane Longaker said. "Some businesses have said it's doubled or tripled their business in the month of February. With $2 per sandwich coming back to the food bank, it's an opportunity to keep us in a place where we're able to keep feeding our clients." YCAP's goal is to raise $20,000 total from the endeavor. Last year, it raised $13,000. Longaker said the numbers she's had in mind are 7,500 sandwiches ($15,000) plus $5,000 in merchandise and "swag" sales. The competition also has sponsors for the first time ever who have provided financial support. Adding to the continued growth of the Melt Down, this year's competition features awards for the restaurants who sell the most sandwiches, the fan favorites and for diners who visit a large number of restaurants. Hit all 20, and you receive a free t-shirt, among other prizes. Posting photos on social media using #themeltdown2019 along with a hashtag of the restaurant name will also make patrons eligible for prizes. "People are excited about this," Longaker said. "The competition keeps growing and growing every year, and we're hearing from more and more restaurants and people throughout Yamhill County." The Melt Down began with just a handful of restaurants in McMinnville. Longaker and a friend hatched the idea as a way to draw in funds for YCAP while helping out local businesses – a mutually beneficial relationship that has led to a flood of restaurants applying to be a part of it. And as the popularity grows, so too does YCAP's ability to help those in need throughout Yamhill County. 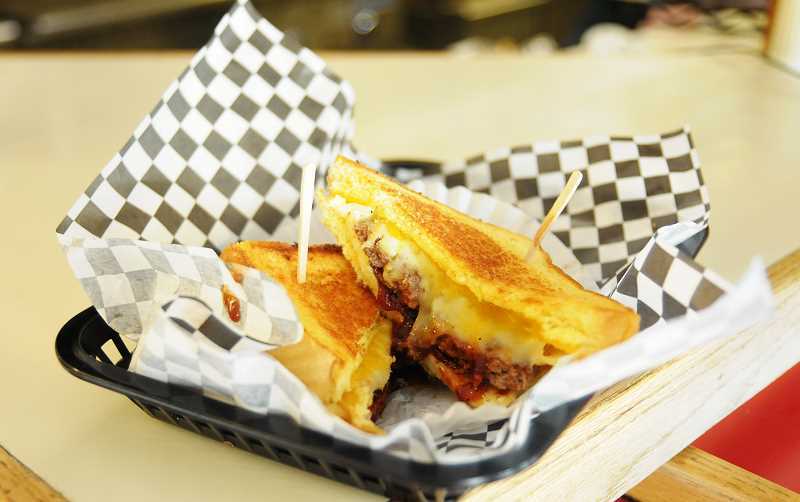 "I had heard this concept of having a grilled cheese fundraiser, so I met with a good friend of mine who's a marketing guru and we spent six months planning this," Longaker said. "Three years later, it's going strong." For more information on The Melt Down and a full list of participants, visit yamhillcap.org/themeltdown2019/.